There are certain things that most of us take for granted – like well-lit streets. But leaving street lights blazing at all hours of the night, even in towns that don’t see much foot traffic, doesn’t always make ecological and financial sense. 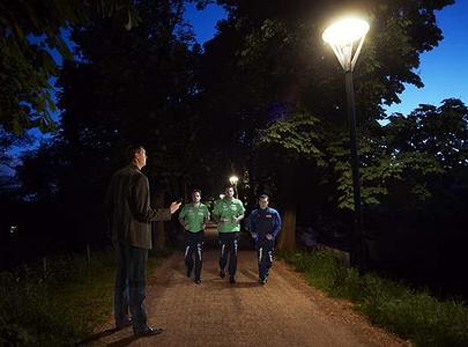 A handful of German towns are trying a rather unconventional solution – a program called Dial4Light, which requires users to activate lights with their mobile phones. The small town of Morgenröthe-Rautenkranz first decided to turn off the lights altogether as a cost cutting measure, but residents weren’t too happy about having no choice but to stumble down pitch black streets. Enter the wonders of modern technology. With the Dial4Light program, pedestrians can activate the streetlights with a simple phone call. Streetlights in each participating town are grouped into zones, each of which have an assigned six-digit code. To turn on the lights in that zone for a short duration (usually 15 minutes), users simply dial the Dial4Light number and enter the code. “The technology is unique, easy to use, and you do not really need to install new equipment,” creator Dieter Grote, an advertising exec, told the BBC. 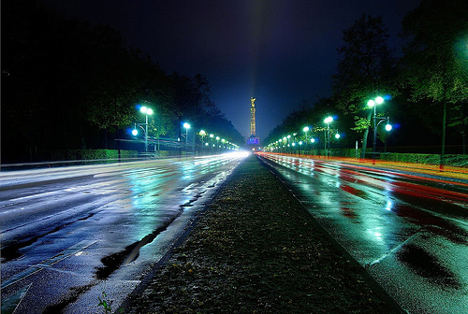 In most of the towns where the program has been implemented, users will pay no more than the cost of the phone call to illuminate their route. However, some towns have begun to charge for the energy used by the lights. Users of the program must also either know the codes for each zone ahead of time, or find the numbers posted on each streetlight within a given zone – a task made difficult by the absence of light. And without a cell phone, pedestrians are left in the dark. Though the program has its drawbacks, and wouldn’t be suited for urban areas with lots of foot traffic, it certainly saves both energy and money. The rural town of Morgenröthe-Rautenkran, population 900, reportedly saves about $5300 per year. The slightly larger community of Dörentrup expects to save $14,000 annually.